Boston, MA Finegold Alexander Architects has completed its renovation of Boston City Hall’s council chamber. City Hall is the seat of government for the city, housing the mayor’s office, the city council, numerous departmental offices as well as the Boston Planning and Development Agency. 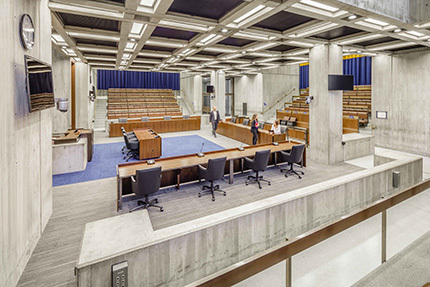 The redesign of the council chambers within Boston’s hallmark 1960s Brutalist architecture addressed accessibility, upgraded technology, and provided significant system, furniture and finish upgrades. The councilors’ floor was raised to be flush with the surrounding main floor level, allowing universal accessibility. “Raising the floor eliminates a prior system of ramps between visitor seating, the councilors and the podium. Circulation is still direct, but without impediments. 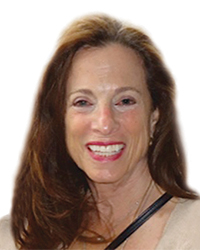 In addition, the redesign promotes a more inclusive atmosphere in the chamber,” said Christopher Lane, senior associate, Finegold Alexander Architects. Universalaccess was applied throughout the entire space; including aisle width adjustments, altered seating arrangements to accommodate wheelchairs and companion seating, addition of integrated accessible public lecterns and an automated, accessible sit/stand podium for the council president allowing for an adjustable height. 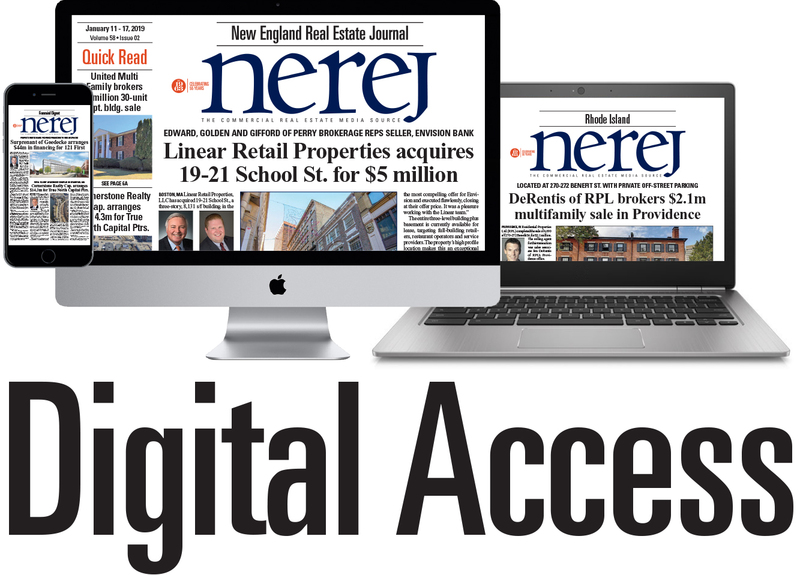 “The podium was designed to be aesthetically sensitive to the fabric and characteristics of Boston City Hall, and to convey a sense of formality while being fully accessible,” said Christopher Lane. Upgrades included integrated acoustical improvements using concealed spray insulation as well as custom drapery lining the perimeter walls. New technology and audio/visual systems and special lighting support television production requirements. The new lighting design by Sladen Feinstein Integrated Lighting, was done in the spirit of the original lighting. By removing the surface mounted fixtures from previous renovations and replacing them with recessed LED fixtures, the concrete grid that is a hallmark of Boston City Hall is now celebrated. Working in collaboration with Meek Consulting Group, new furnishings were designed to accommodate the desired aesthetic, while being accessible and technologically enabled. The work included the installation of new carpeting, replacement of the councilors’ desks, and selective replacement of other movable furniture. Construction of City Hall was originally completed in 1968; The building is a prominent example of the monumental Brutalist architectural style of that time, featuring facades and interior surfaces of exposed cast-in-place concrete,” said Jim Alexander, senior principal, Finegold Alexander Architects. The original architects were Kallmann, McKinnell, and Knowles; There was no change to the famed Brutalist concrete motif.